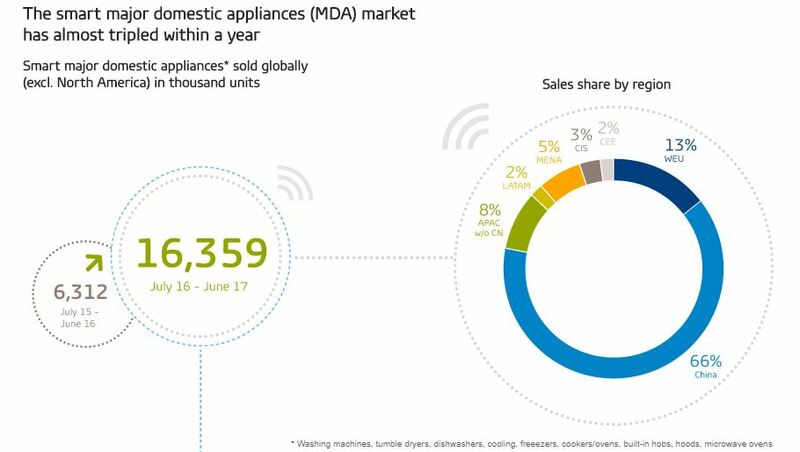 According to GfK, the sales of smart major domestic appliances (MDA) like tumble dryers, microwave ovens, dishwashers and washing machines increased almost three-fold in the period July 2016-June 2017 compared to July 2015-June 2016. Drum washing machines accounted for a larger share of sales of their own product group than any other smart MDA during this period. 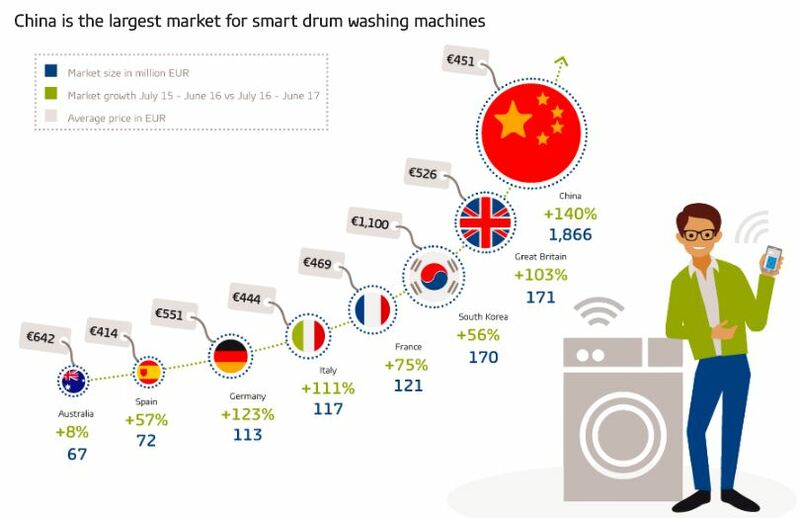 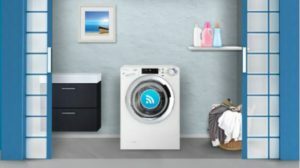 In China, the largest market for smart MDAs, 34% of drum washing machines sold in the year to June 2017 were smart. 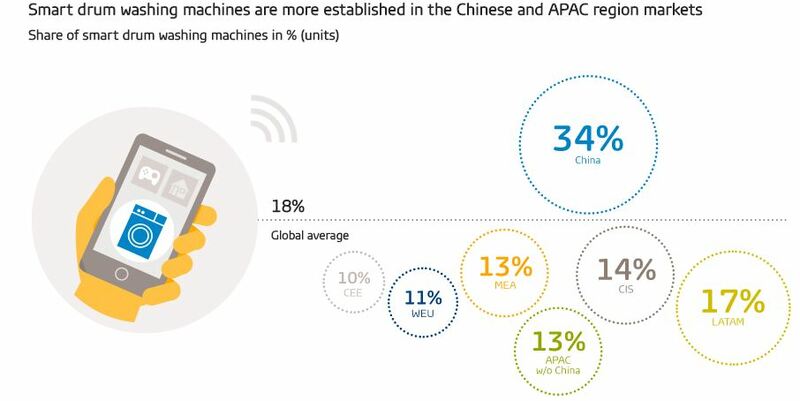 Here is the infographic, realized by Gfk.